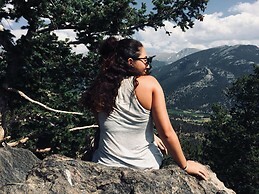 Hi, i'm a girl coming from France to study Environmental Engineering at Unibo, and I am looking for a single room in Bologna from February to July inside the walls of the city. I'm a serious and clean girl, I don't smoke but it doesn't bother me if my roommates do. I don't really like animals. I don't speak Italian but I my French, English, Spanish and Arabic are fluent. I love travelling and meeting new people, I'm very friendly and open minded.